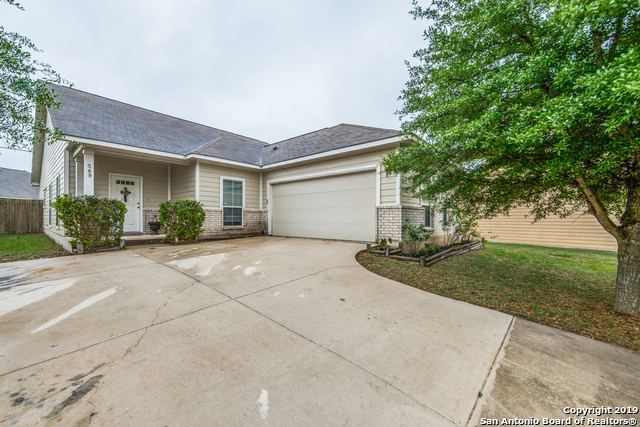 Looking for Homes for Sale in Cibolo, Texas? 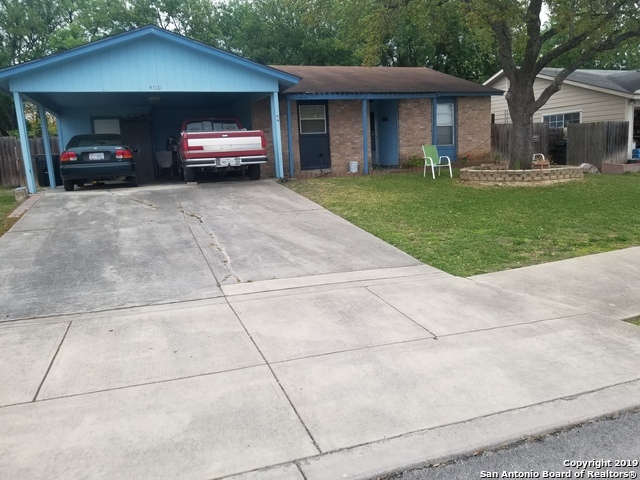 You can view all listed real estate throughout Cibolo and the San Antonio area on www.MoreSanAntonioHomes.com.. Find hundreds of real estate properties including foreclosures, condos, townhouses, new homes and land. Once you have found your dream home or property, fill out a request for more information and we will take it from here. "Updated home in guard-gated Scenic Hills 55+ community. Charming community with mature trees and wide streets. Many activities in clubhouse with pool, fitness center, library, billiards room, card rooms and more. Kitchen has granite counters. Florida Room has wall unit for a/c and heat. Master bath has large updated shower with seat. Br 2 is as large as MBR w/ walk-in closet. Guest bath has walk-in Jacuzzi tub. HOA does all yard & sprinkler work. Come see your new home. Will consider all offers"
"Recently updated 4bed/2ba home with 2 living and dining areas. Large Florida room not included in the square footage makes a great entertaining space. Come see the new vinyl flooring, carpet, paint, ceiling fans, and window blinds. New indoor HVAC installed March 2019. You'll love the new beautiful fireplace. No HOA. Priced right and ready to move in! Popular school district with easy access to I-35." 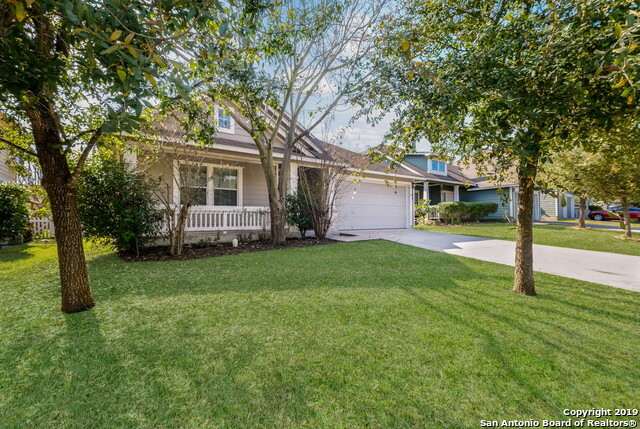 "A quiet secluded home tucked at end of the street in a 55+ plus golf course community. Spacious home with NO CARPET! Large living room with bay window to Florida room, and a study as you enter. Recently replaced windows, attic insulation, remodeled bathrooms and 2018 3.5 ton ac unit added and new roof 2017. See additional documents for full list of upgrades and a maintenance list. Enjoy the custom closet in master and garden tub. Built in cabinets in the garage make a nice workshop." "SPACIOUS MODERN DESIGN, 3BEDROOM 2.5 BATH,TILE WET AREAS AND DINING,WOOD LIVING, LOFT AND STAIRWAY, OPEN KITCHEN W/ BREAKFAST BAR, LARGE MASTER UP, LARGE WALK IN CLOSET, SEP GARDEN TUB AND SHOWER, TILE FLOORS AND SURROUND, LOFT. 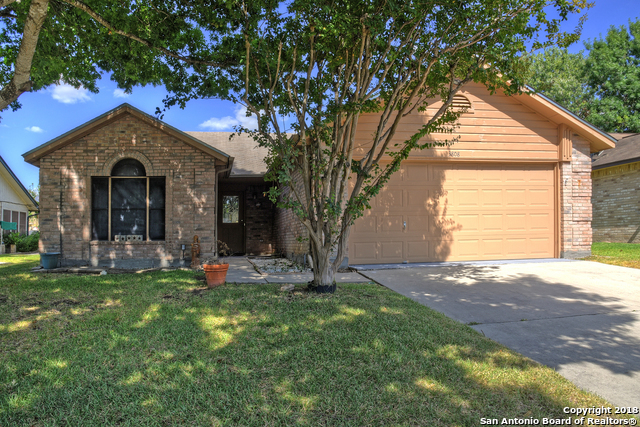 COVERED PATIO, NEW CARPET AND PAINT AND FENCE"
"This Cibolo two-story offers a kitchen breakfast bar, a walk-in closet in the master suite, and a two-car garage. Upgraded features include new carpeting and fresh interior paint. This home is part of the Gatewood HOA. This home has been virtually staged to illustrate its incredible potential! Home comes with a 30-day buyback guarantee. Terms and conditions apply." 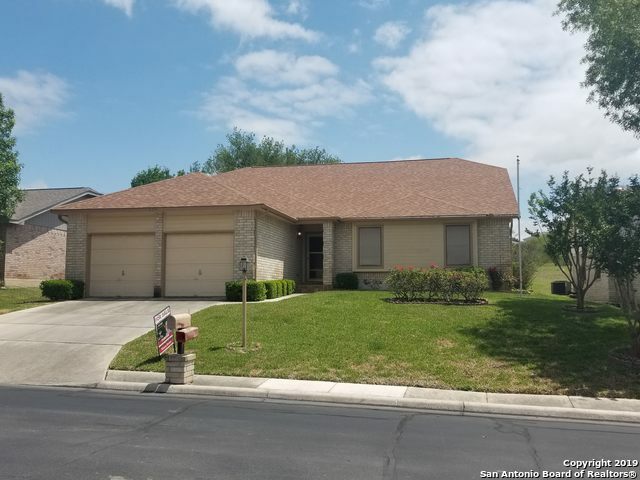 "Gorgeous 3/2/2 with open concept, attractive kitchen, new paint, new cabinets w/soft close, new granite counter tops/back splash in kitchen, new appliances, high ceilings, Great Community in Scenic Hills designed for 55 & older, ONLY 1 HAS TO BE 55, 24-hr guard. The clubhouse hosts: water aerobics, cards, billiards, shuffleboard, & much more, A golf course next door, boat & RV off site free storage, HOA fee includes water & lawn maintenance. Free daily tour of community. 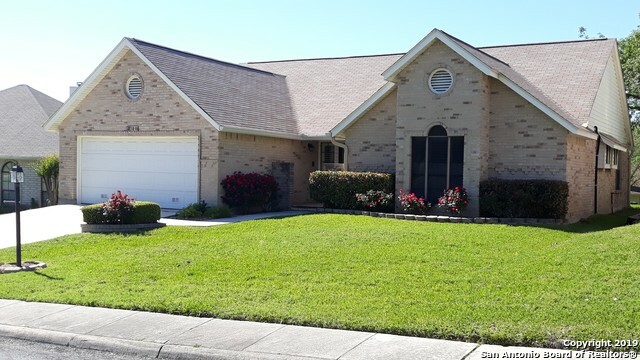 This home is protected b"
"This 3br/2ba home sits tucked in the gated 55+ scenic hills golf community. Featuring a large 2 car garage and a 37x9 screened in back patio. Master bath has a double vanity and a walk in shower. Large open living room with fireplace. Perfect home for anyone who loves to golf, less than half a mile away from Northcliffe Golf Club." 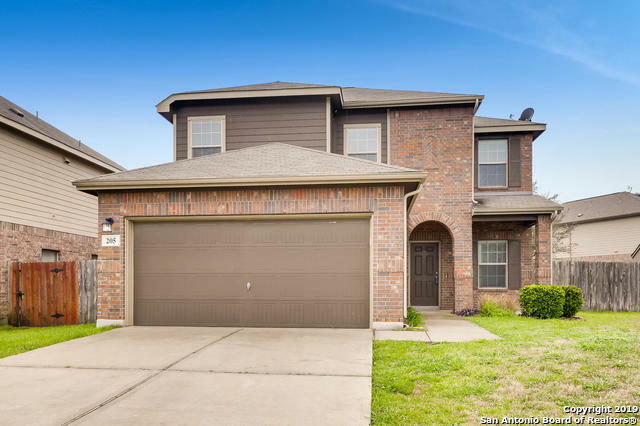 "Built in 2010, this Cibolo one-story offers stainless steel appliances, corian kitchen countertops, master bathroom with separate tub and tile-surround shower, backyard patio, and two-car garage. Part of the Cibolo Vista HOA. This home comes with a 30-day buyback guarantee. Terms and conditions apply." "Beautiful single story home in Charleston Parke, a quaint neighborhood in Cibolo*Living room has high ceilings & a wood-burning fireplace*Kitchen boasts an abundance of cabinets & counter space, & a large breakfast area*Master bedroom is split from the other 2 bedrooms & has a walk-in closet*Master bathroom has a double vanity, separate garden tub & shower*Bedrooms 2 & 3 also have walk-in closets*Community playground & splash pad*Convenient to Randolph AFB"
"Move In Ready!! This 3/2 home features large open livng room with fireplace, dinning area and bar top. All bedrooms upstairs. Wood look tile in living area. -Beautiful spindle banister. You will love the larger walk-in closet in the master bedroom. This home features a nice deck in the backyard. Come take a look and make it yours." "MULTIPLE OFFERS RECEIVED. HIGHEST AND BEST BY 2PM ON SATURDAY APRIL 20. TEXT 2103264696 TO NOTIFY OF OFFER. This gem is back.. SHOWN WITH PRIDE! This stunning home offers 4 bedrooms/2 1/2 baths, 2 car garage all nestled on an oversized lot that is like a private park oasis! This home will have you from hello with lovely wood flooring, granite counters, huge pantry, and wonderful bedroom sizes. 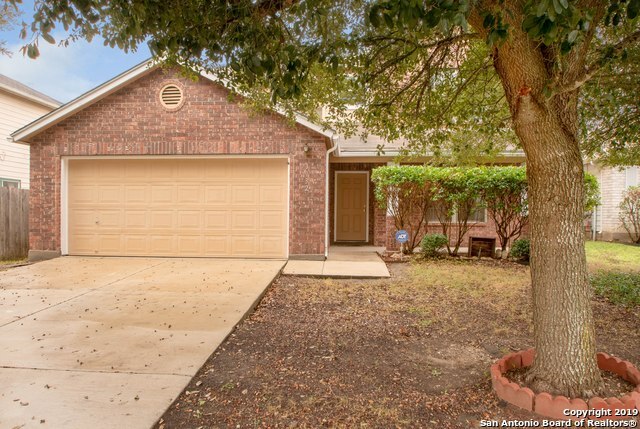 It is conveniently located just minutes from RAFB and local shopping." "Super Home! This 3 bedroom 2 bath one story home is ready for a new buyer. Beautiful accented front door, wood effect ceramic tile upon entering the home and through out living room and kitchen area, crown molding, white stone wood burning fireplace. Granite counters in kitchen and bay window at breakfast nook, large master bedroom with spacious bathroom. Secondary bedrooms are oversized with spacious walk in closets. Large covered patio. All Appliances stay.Take a tour, schedule a showing, make"
"Spacious 2 story home with open floor plan, island kitchen, large living/dining room, master bedroom suite down, four bedrooms up, covered back porch, sprinkler system, gutters and lots of interior living space. Living room updated with beautiful wood flooring. Stainless steel appliances, stovetop cooking, washer and dryer. Amenity center with pool, playground area, basketball courts. Large backyard with privacy fence. Near everything. Show and sell! Buyers to confirm schools with district." "ENERGY EFFICIENT HOME BY NATIONAL GREEN BUILDING AWARD WINNER IMAGINE HOMES. OPEN FLOOR PLAN WITH GRANITE COUNTERTOPS AND STAINLESS STEEL APPLIANCES. NEUTRAL COLORS THROUGHOUT. INCLUDES LAWN IRRIGATION SYSTEM AND GARAGE DOOR OPENER. FOAM INSULATION IN ATTIC AND EXTERIOR WALLS FOR GREAT ENERGY EFFICIENCY." "1 Buyer must be 55+ to buy property.Home is large and Florida Room and another add'l room could be used for many things.Very open.Kitchen very large with beautiful island.Plantation shutters throughout the home.Garage has nice shop area and tons of storage.Firplace can be wood or existing electric log insert.Reading lighting above master bed.Washer/dryer/refrigerator remain.Guarded gate,HOA tends mowing,etc. Community has many amenities.Pool,hot tub,billards room,poker room,card room,ballroom,sh"